The Z Series is introducing America to six side universal mount modular assembly gearboxes for medium duty industrial prime movers. 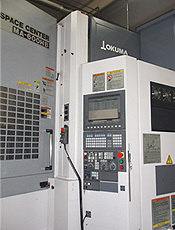 High precision & quality automated manufacturing cells allow Tramec to manufacture the components in high volume, maximizing production efficiencies & systems for quality, while pushing costs down. 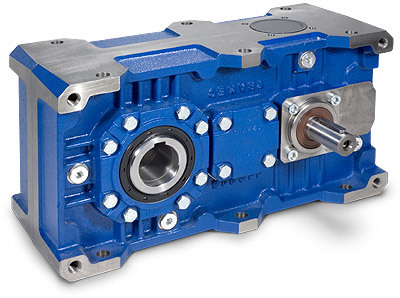 From the machine designers perspective, this means a high performance gearbox can compete with lower end worm or helical gearboxes for price, yet offer the fast delivery made possible from Order-Assemble-Ship production. Backstops, Output Flanges, Motorized Inputs, single or double output shafts, and multiple mounting positions are assembled to suit... no waiting for metal to be cut. 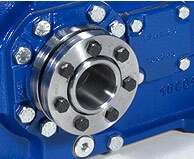 Shaft or Flange mount conveyor drives - Belt, Chain, Screw, Overhead Chain, and more. Primary processing in agriculture, mining, food, plastics, textiles, etceteras. Precision machinery requiring Servo Input, Z is inherently low backlash. Packaging Machinery - More torque & efficiency than worm gear drives in higher hp. Energy Efficient Upgrades in production equipment. Recycling equipment - grinders, shredders, material handling. Replacement of drives requiring belt drive input, chain drive output, reduction to 250:1 standard. Food equipment for pasta, cheese, bread, meat packing, and sugar mills. Z Series is available in eleven (11) sizes, single, double, triple stages ranging from 5 to 250/1 ratios to provide ideal mix of ratio, service factor, and compact size for many applications. Standard Synthetic Lubricant for 20,000 hours maintenance free service, as well as a wide array of accessories for backstop, bearing covers, torque-arm, flange mounts, servo input, shrink disc output, and hydraulic, PMDC, and AC Gearmotors. Single or Double, Hollow, & Shrink Disc outputs with torque-arm, flange, and universal foot mounting. Gears: Case Carborized, quenched, and ground 16CrNi4 or 18NiCrMo5 Helical protuberance hobbed gears. 1052 to 101,775 in-lbs output torque (T2N). i = 5 to 250/1 standard ratios + near unlimited gear, motor, or Variator inputs from TVT. <10-16 Arc Min Single, <16-20 Arc Min Double, and <20-25 Arc Min Triple standard backlash.